VON ORMY--At its July 18, 2016 meeting Von Ormy City Commissioners hired a new Assistant City Clerk. Irma Trejo of San Antonio will join the city staff and serve as an assistant to both the City Clerk and Municipal Court Clerk. 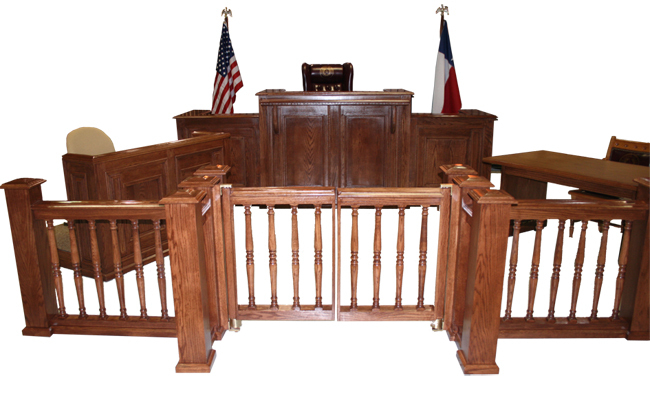 City Commissioners also approved the purchase of furniture for the municipal court and city commission meetings. 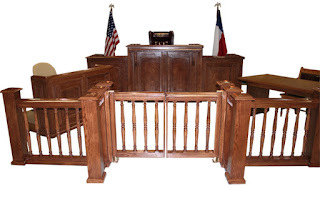 A custom made dais, chairs, judge's bench, witness stand, reporters stand, and floating podium will be purchased from the Texas Department of Criminal Justice Texas Correctional Industries. The Von Ormy Municipal Court and City Council/Commission has for years been operated out of temporary facilities, but now has a permanent home in the city offices erected on Quarterhorse Road. The prisoner-constructed furniture will replace the folding tables and chairs used in the past. The new city buildings and furniture has been paid for cash, out of the surplus that has been saved over several years. The city's plan to erect city offices without incurring debt has now been completed. A 48" x 24" outdoor sign was also approved. The sign will state "City of Von Ormy City Hall and Municipal Court." The sign will be installed outside of the new City Hall and Municipal Court buildings soon.